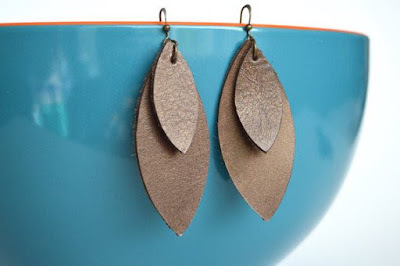 DIY leather projects have popped up on my blog since I started it so many years ago. 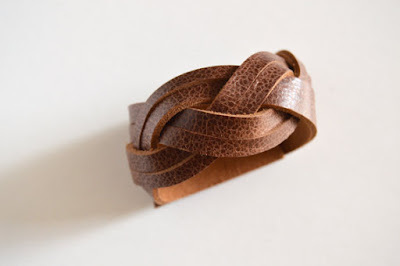 You can find tutorials for my leather bows, coiled leather cuffs, leather cord keepers, and leather bookmarks, and leather frames (which are still hanging on my fridge). I fell in love with leather when working with it in a book binding class in college. I wandered into a leather shop looking for scraps to bind the spine of one of my books, and from that point I have been coming up with my favorite scrap busting leather projects. During that time I also started selling many of my leather items in local boutiques and craft shows. It has been about 5 years since I first started selling my leather goods. 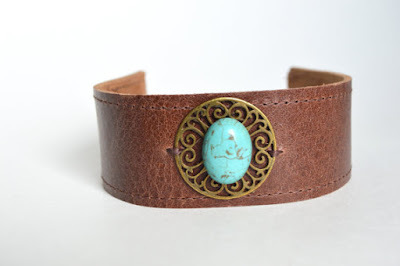 I have always held off on listing them online, because making one of a kind goods is labor intensive, and listing them online makes it even more of a hassle. But, now that my kids are getting a little older, and becoming slightly more independent, I feel like I can finally focus a bit more on the business side of my Etsy shop. 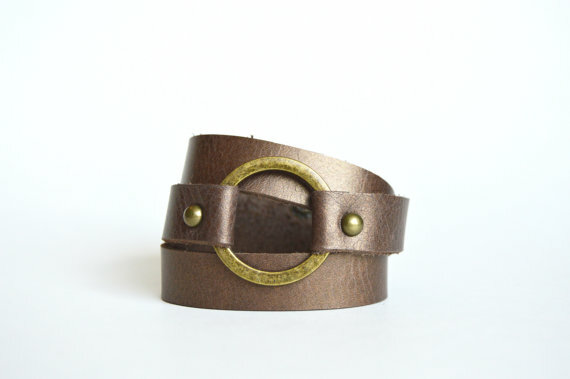 I will now be offering custom sized leather cuffs. 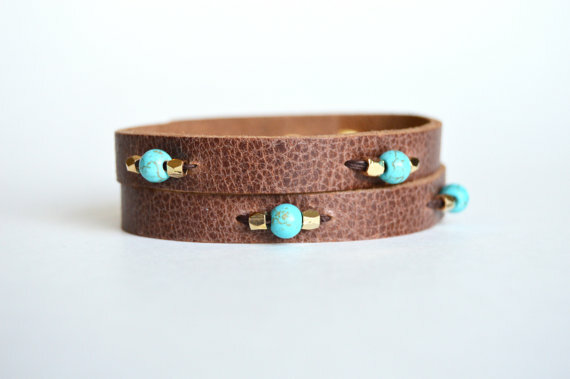 Each cuff will be specially made for you . To make things even better, I am celebrating my Grand Opening with a sale. Use Promo Code "Welcome16" to save 35% off your purchase through 6/30/16. 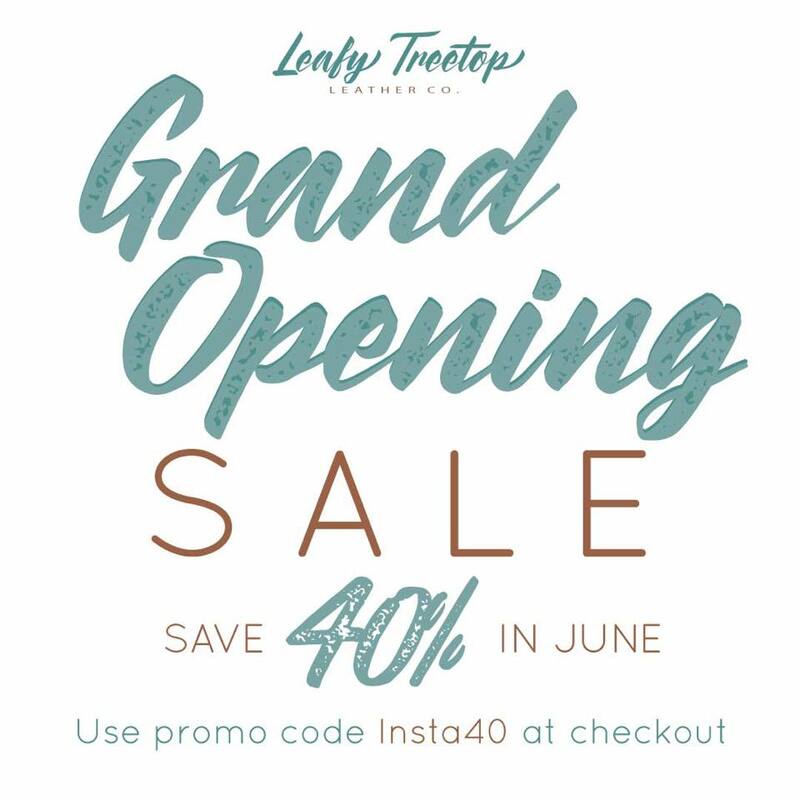 However, my social media besties can use promo code "insta40" for 40% off through the end of the month. 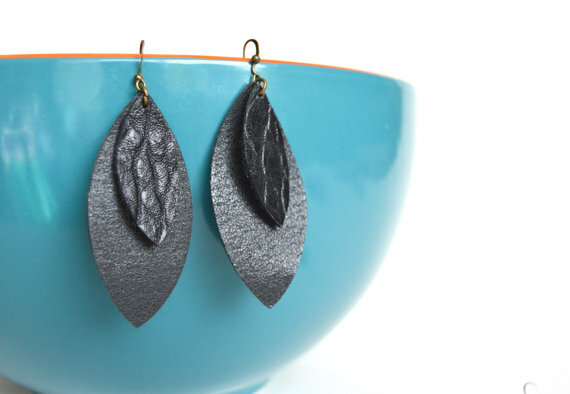 In addition to my leather cuffs, you can find my handmade leather earrings. Lightweight, and statement makers, these leather earrings will become quick favorites. Choose your preferred metal choice : Bronze, Silver Filled, or Gold Filled (great for sensitive ears). 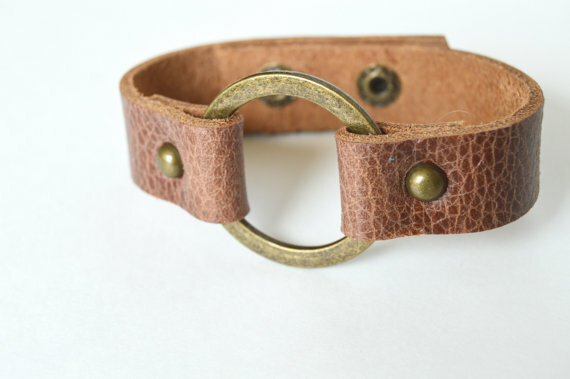 Do you have a favorite piece of leather jewelry in your collection? Ever worn leather? I'd love to hear what you think of the shop, and what your favorite items are. If you stop by be sure to favorite your favorite items in the shop, favorite my shop, or stop back here and let me know what your favorite items are. I'm planning a giveaway in July, and I'd love some ideas on what would most interest everyone. Feel free to follow me on Instagram @leafytreetopleather . 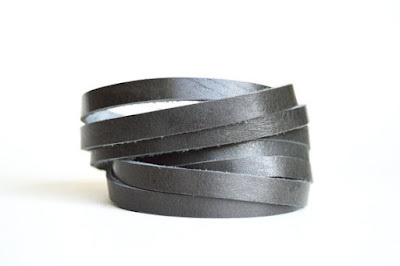 Any leather tutorials you'd like to have here on the blog. I know it has long been abandoned, but I'd love to get back to it. Maybe on a weekly basis.